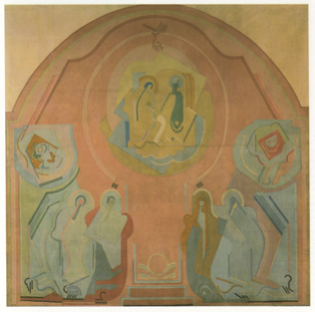 While Evie was in her monastery Gleizes had been asked by the parish priest in Serrières, the town in the Rhone Valley where Gleizes was living, to prepare a mural decoration for the walls of his church. 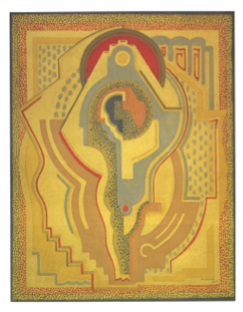 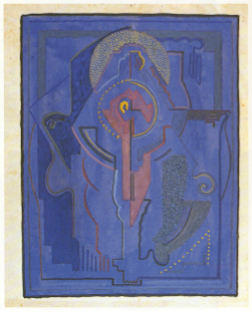 This was a request - I don't know if it ever amounted to a 'commission' - that interested him greatly and both he and Mainie Jellett put a great deal of effort into the preparatory sketches (following a pattern that was to be repeated in Gleizes's life the work was in the end, after all the preparatory work had been done, vetoed by the Bishop). 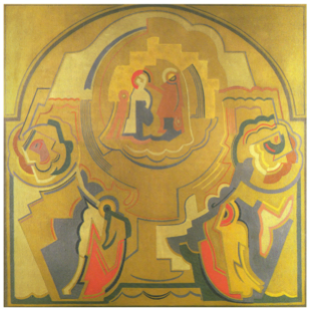 He envisaged three panels - a Crucifixion, a Deposition from the Cross, and a Coronation of the Virgin. 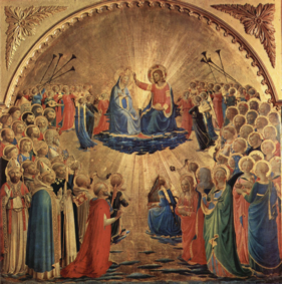 The Coronation of the Virgin was modelled on the Coronation of the Virgin by Fra Angelico. 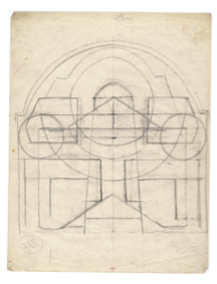 Here is the preparatory analysis of Fra Angelico's overall construction done by Mainie Jellett. 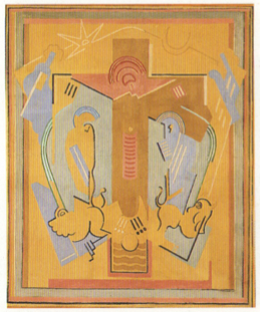 And here is Gleizes's Crucifixion (with the four symbols of the evangelists, a motif he always enjoyed working with).